IFMC Stock Market Institute in Delhi is a part of IFMC Educational Institutions Private Limited. Since 2008, IFMC is dedicated to teaching skills you need to become a smart investor. Our Stock market training in Delhi is located in Laxmi Nagar (East Delhi), Lajpat Nagar(South Delhi), and North Campus(North Delhi). At IFMC Institute, our team is committed to helping learners find the right path to stock market trading and financial goals. We provide job oriented, smart investor, and advanced levels courses. They also have access to stock market courses online training. Unlike, other institutes for stock market, we conducted stock trading classes in Delhi Institute in a small batch. Thus, this ensures maximum personal attention for each student. Mostly, the courses are built on the basis of core strategy featuring hands-on live market trading. Every course is priced sustainable to create market imbalance. Thus, online courses are designed as an alternative to classroom courses. This offers ease of convenience to learners with a lack of time to attend classroom courses. Ultimately, online classes reduce expenses. Our technical analyst experts will train you throughout the process to trade money in the stock to technical analysis. Subsequently, helps to identify learners needs based on business goals. We offer a complete educational curriculum across multiple trading securities including stocks, wealth management, risk management, currency market, futures and options. Participants are introduced to the financial market training course intricates in Indian Stock Market setting. Additionally, students will review and discuss the price movements, market behaviour, and trend analysis more proficiently. After completing the course students will get NISM certificates. Subject to course completion learners will receive an 11 NSE certification course* as a credential you have learned gaining specific skills. Learn how unique approach to stock market analysis NISM and NCFM modules and become able to analyse the company’s future. We take pride ourselves on accomplishing objectives by using live trading examples throughout the trading training programs. This will ensure learners understand and apply knowledge. IFMC Institute resource specialist teaching faculty that focus exclusively on financial markets. We offer individuals, companies, and team expert teaching that combine both theoretical and practical understanding. We have a team of NSE certified stock market traders with technical analysis skills. Stock market course module and material are excellently designed. The courses study diverse aspects of capital markets. You will learn how modern capital markets work or acquire necessary toolkit for successful trading, risk management and investment portfolio. Students can also take advantage of the mock test. In an extension of our classroom courses, we also offer online stock market courses in Delhi. Every course aims to help learners build a powerful career in stock. The course will refresh your skills enabling you to continue learning stock market at the convenience of home. Here is a list of our popular online courses. Stock market course for beginners is a 9-hour course. The course comprises of 19 pre-recorded videos by IFMC senior research analyst. The objective is to equip students on basics of India Stock Exchanges – National Stock Exchange (NSE) and Bombay Stock Exchange (BSE). This course is designed for new entrants in this market and is designed in the most simplistic manner to make the understanding clear. Moreover, the course targets a basic understanding of technical analysis. Stock market course for traders primarily studies the fundamentals of trading. Learn how to trade stocks and improve investment strategy. One great benefit to becoming a professional trader is that it reduces the advanced level of risk. Stock Market Course for Professionals is the higher course for who want to learn the fundamentals of share market and want to trade and work like professional. Learn basics like demat account, charts, indicators, tools, techniques, software etc. The training programs teach Capital Market, Derivative Market, Commodity Markets, Currency Market, Technical Analysis, Fundamental Analysis, Options Strategies, Derivatives Market and UDTS. It covers all the aspect of Trading, Selecting Stocks and Investing. You get Pre-recorded videos. Certification in Stock Market Courses is a 37.2 hours pre-recorded course divided into 72 videos. This programme enables you to prepare for 4NSE Programmes. You can become self-employed by doing this online programme. It is job oriented courses with a focus on NCFM certifications modules. Technical analysis course is must learn online course series for smart investors. Learn advanced options technical analysis and stock market traders techniques from a top-rated technical analyst with years of experience in the Indian stock market. The course is based on NSE ncfm modules. After completing the course the students can pursue a career as a technical analyst, portfolio manager, or investment advisory. Fundamental Analysis course by IFMC is an attempt to make understand fundamental analysis in a simple way. However, our attempt is to make it more simple. Examples and Case Studies, make it more interesting. After the immense response of UDTS, we have received a demand to simplify Option Strategies for investors or stock traders. So we here present the tricky topic option analysis in a simplified and easy to understand way for an investor, traders who wish to hedge their position in the market and mutual fund. Option Trading by MR MANISH TANEJA is an important topic which is of great interest to investor, trader and students. However understanding Option Strategy and faster applying it in the market require a different approach. Uni-Directional Trade Strategies Course is a systematic mechanism to profit maximization and risk management. The trade strategies are named as Unidirectional Trade Strategies (UDTS) a unique trading model that focuses on the core mechanism of Intraday Trading, Live Trading, Positional Trading, Swing Trade, and Long-Positional Trading. This most popular trading course is used in over 150 countries in the international market. Equity dealer course is the most important module of the NISM Series. Anyone who wishes to work in Stock Market / Share Market has to clear NISM Series VIII Examination. This Module is very important for Traders / Hedgers / Students and Professionals. Clearing NISM certificates VIII Equity Research Examination is mandatory for all the professionals who wish to start or make a career in Stock Market /Securities Market. After completing this course students can pursue a course as equity research/research analyst/portfolio manager in mutual fund, or portfolio management. We have 5 training institute for the stock market in Delhi NCR. Here is a list of training institute in Delhi centres. IFMC Institute Laxmi Nagar ( East Delhi) is no. 1 Institute for stock market banking, finance, insurance, and stock market education. Laxmi Nagar is a popular education destination. 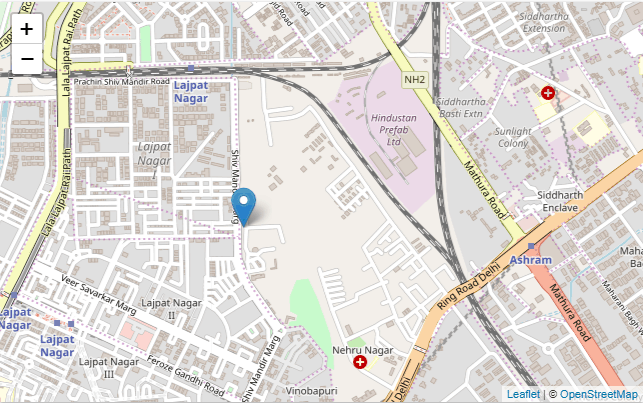 Our Laxmi Nagar centre is located near the metro station gate no. 4. Making it easy to reach. 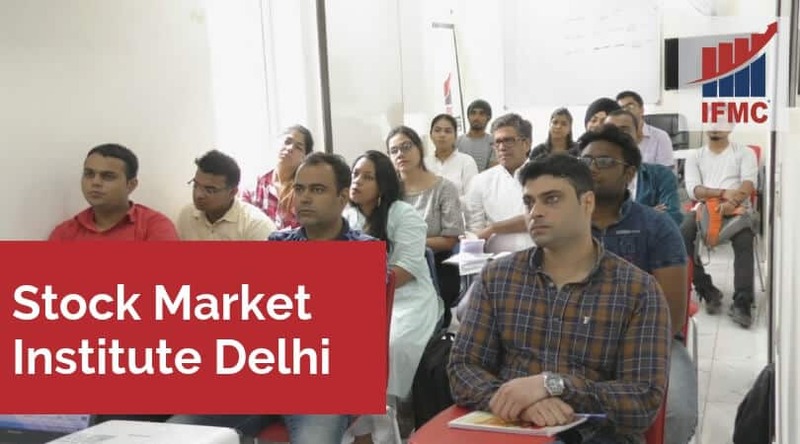 The students seeking for long-term and short-term job-oriented stock market courses in Laxmi Nagar can join the institute of stock marketing. IFMC Institute North Campus (Delhi) is a renowned stock market training institutes located in Hudson Lane. With more than 10 years of experience, we have trained more than 50,000 students. We are a certified institute and bagged with an excellence award for “Financial Market Courses 2018”. IFMC institute is the No. 1 institute for stock market courses in North Campus. Our customized stock trading courses in North Campus is designed keeping in mind the industry current need. We offer both online and offline courses.